“MADE IN CHINA” conclusion! Kong Kenan is in the fight of his life against the insane Human Firecracker and his Starro bomb! 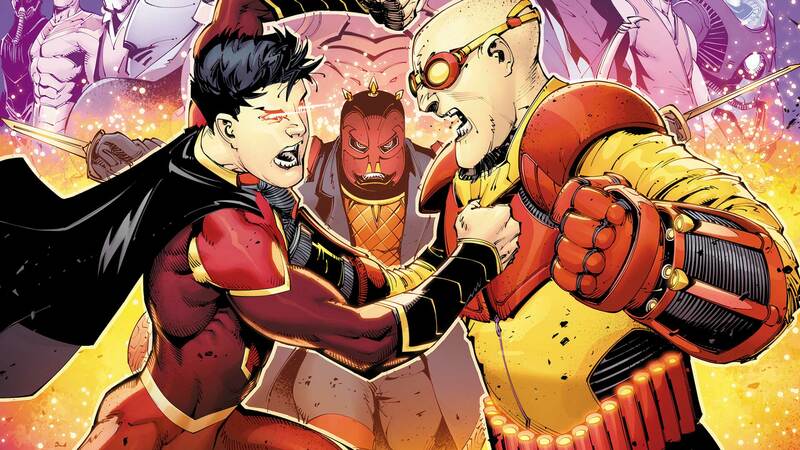 New Super-Man must confront his darkest demons as he tries to save the Bat-Man and Wonder-Woman of China! Alliances will be tested, heroes will be forged—and the shocking fate of Kenan’s family is revealed!